"A Funny Thing Happened on the Way to Heaven, Volume 5"
This book is dedicated to Feegeebee Parish. Thank you Feegeebee for the encouraging words. When you look in your rear-view mirror going down the freeway, and see a huge truck inches from your bumper, just hang on. Pray for that trucker as you hurry to switch lanes. He's got a load to deliver, or needs a cup of truckstop coffee. CB in hand, cowboy hat on his head, God loves that fellow! It is this precious breed of men God called us to, and it has been that call that has led us on a journey to the gear-jammers across this land. 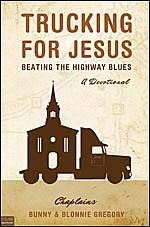 A journey to tell truckers about Jesus. I can still see Bunny walking around our first Mobile Chapel saying, "I can see what God can do." By faith we stepped out with a Ford truck, a camper and our little family of three. Oh, what a sight we were Bunny, Blonnie and Orville, Jr. "Trucking for Jesus." As the years passed and we were faithful to use the Ford and camper, God gave us a 1962 Kenworth and a 40 foot trailer. Bunny was still saying, "I can see what God can do." 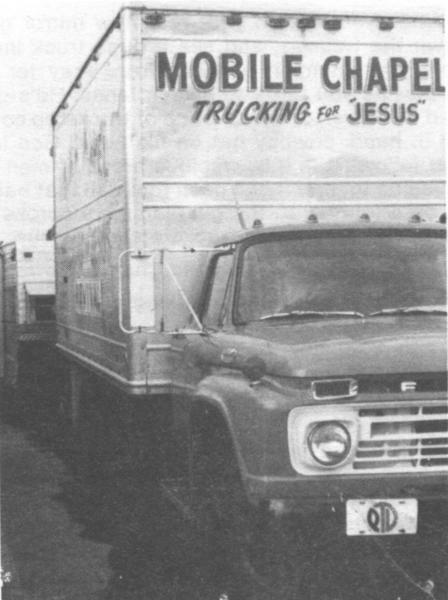 Over the years as we have traveled from truckstop to truckstop, Trucking for Jesus, there has been mountains to climb, valleys to go through, engines to overhaul, chapels to build, and a son to raise. Oh, and yes, Union Burgers to eat. But it has been worth it all. We have seen hundreds of truckers receive Jesus, and Bunny is still saying, "I can see what God can do." The first photo is our first Mobile Chapel, then Ol' Yellow in 1978, and lastly Ol' Yellow gets a sleeper and back axle in 1981. You can click on each picture to see a larger version of the shot. Next Ol' Yellow has engine trouble in 1985 and 1986. These are the years we changed Ol' Yellow's name to "Sheneeda," "She needs a lot of love." The second picture is of Sheneeda after a new engine and paint job in 1986. Jack, a North American driver, had just won a trip to Hawaii through his company. He came by the truckstop to tell Bunny and me about it. We all shared in the excitement over Jacks's trip. I asked Jack would he bring me a garland of flowers from Hawaii. 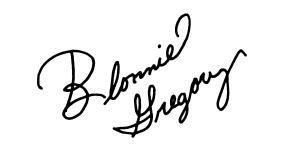 A big smile came across his face and he said, "Sure thing, Sister Blonnie." Many months had passed before we saw Jack again. Then one day we saw his truck pulling into the truckstop. Jack climbed down from his rig, walked over to us carrying a beat-up looking box. Stretching forth his hands he gave me the box and said, "Here Sister Blonnie are your flowers." Jack remembered. He had the flowers I asked for! I opened up the box, and there inside was a beautiful garland of silk flowers, all the way from Hawaii, delivered by Jack. Jack wasn't the only driver that went out of his way to give flowers. Chris, a Benkins Van Line driver, came to the chapel one Sunday night carrying a pot of flowers. After the service Chris handed us the flowers and said, "I know how much you love flowers, so I walked to a market to buy you these." Chris had walked ten miles that day to find us flowers. Moving from truckstop to truckstop, Bunny and I have had our own special flower gardens, because of Christian drivers like Jack and Chris. Yes, truckers are special people, people who have taken their time to bring us a bouquet, not always of flowers, but a bouquet of kindness to brighten our way. Jesus always knows when we need a blessing, but He also knows when we need to be a blessing. A kind word, a friendly wave, or maybe a flower could brighten the life of someone you meet today. Take time to be "Special." A driver came by the chapel one day and said he wanted to share a testimony with us. He never gave us his name, we'll call him Joe. Joe said he had witnessed to another driver from his hometown, and led him to receive Jesus. Joe gave the driver a Bible before they parted company. Months after this Joe went home to visit with his dad. As Joe walked into his dad's room he could tell something was different about his dad. Joe's dad said, "Son, I just got saved." Joe hugged his dad. This was an answer to much prayer. Joe had been unable to reach his dad. He had tried many times before, but now his dad was a Christian. Joe asked his dad who led him to salvation, and the reply he received changed Joe's life. Joe's dad said, "Do you remember leading a trucker to Jesus some months ago? Well, Joe, it was that trucker that prayed with me. He showed me scriptures from the Bible you gave him. It was that trucker!" Have you ever thought about where you would baptize a trucker in a truckstop? This has been a question we have had to answer many times. One trucker came at midnight on New Year's Eve and wanted to be baptized. The nearest body of water was the Sacramento River or should I say the "Cold" Sacramento River. Brother Albtire, a minister from the area, went. He held the light while the trucker and Bunny went into the water. A husband and wife team came to Blythe, California and wanted to be baptized. All was fine that day! We had a friend, that had a friend, that had a swimming pool. Another trucker, hauling explosives, wanted to be baptized. He left the truck with his partner to go with Bunny to find water. In a hurry a trucker stopped by to be baptized. He had little time, and there was no body of water. We had to sprinkle him. But I guess the most unusual baptizing we had was in Tucson, Arizona. A husband and wife team came by and wanted to be baptized. We couldn't find a pool, and there were no rivers around. But some friends let us use their bathtub. There we were, a group of truckers, gathered around a bathtub, getting ready to have a baptizing! I was told of a bus driver with a bus load of passengers going to a convention. With every seat filled on his bus, the driver wanted to keep his schedule. He wanted to "move it on down the road." In the seat behind the driver sat a little old lady. Her gray hair pulled back. Her high collar blouse made her look timid and quiet. The trip proved her looks deceiving, and as the bus pulled away from the station she never gave the driver one quiet minute. Quiet and timid she was not! She preached to the bus driver every mile of the way. She told the driver he needed Jesus, and he needed to give up his sinful ways. She told him there was no promise of tomorrow, today was the day of salvation. This bus driver was receiving a non-stop sermon. Now the driver was getting aggravated with the "fireball preacher" behind him, but what could he do? He couldn't move, and it was for sure the lady wasn't going to. Finally the driver received a call on his radio. His fuel stop had been changed. He was to stop just a few miles ahead to fuel the bus. As he got up to fuel the bus the little lady grabbed the bus driver. "I want you to get saved now! ", said the lady. Every eye on the bus was looking at the bus driver and the old lady. The driver looked back and said, "Alright I'll get saved, if the first person I see on the fuel island is a preacher." With that the driver stomped off of the bus. The driver began to fuel his bus. 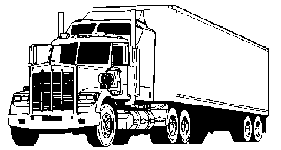 He looked around and saw a trucker fueling a truck beside of him. The bus driver called out and said, Man, am I glad to see a trucker!" The fellow called back, I'm not a trucker. I'm a Baptist preacher. I am filling in for a sick friend today." I can see the little lady on the bus --hands raised saying, "Thank you Jesus, thank you!" Mr. Harris had been in a nursing home for many years. He received $16.00 a month for his monthly allowance. Of that $16.00 he sent $14.00 to "Back to the Bible," radio broadcast. Mr. Harris told us he wanted to help win others for Jesus. Mr. Harris told us that if we gave a gift that we ourselves no longer wanted, well, that wouldn't be much of a gift. Also in that same home was a lady who played the piano in the chapel services. When she was younger she played beautiful hymns in a church in New York. But crippling arthritis had drawn her hands together, and the only way she could now sit up was to be tied in a wheelchair. Even in her condition she still could play two songs, "When the Roll is Called up Yonder," and "When we all get to Heaven." Every chance she got she played her two songs. Why? Because she was giving it her all! Another lady in the home, Mrs. Chewing, would only let Orville, Jr. push her to chapel services. Orville was so little you could hardly see his head over Mrs. Chewing's wheelchair. We would see the two of them coming down the hallway, just talking away. But one night Orville, Jr. went to his favorite one's room, he came back alone, Mrs. Chewing had died that morning. While she lived she took the time to brighten a little fellow's heart. She gave it her all! These three have gone on to Glory, but before their departure they taught us a lesson on "giving it your all." Oh, how many times do we say we have nothing to give, or how many times have we quit and given up? But stop, look around, you have much to give when you give it your all! There is a saying, "If you have it, a truck brought it." Trucks carry cargo of every sort! 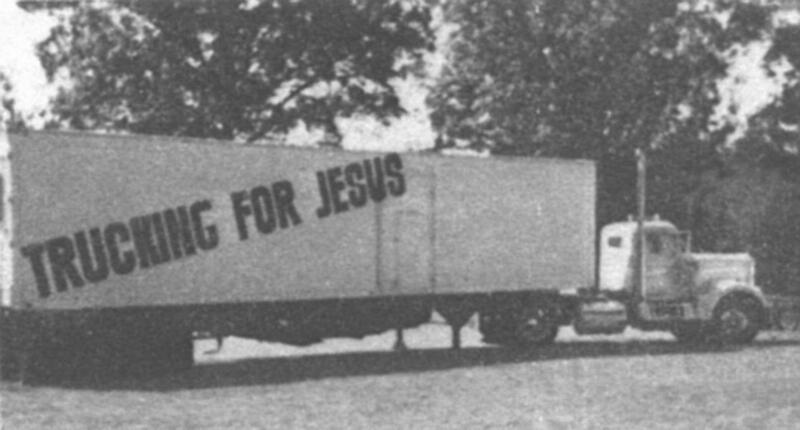 Not only do truckers haul freight with their trucks, but some carry a Gospel message too. Some truckers put crosses on their rigs. I've seen signs that read -- "Jesus Saves," "What the world needs is Jesus," "Everyone has a right to the Tree of Life." These are just a few. One of the most striking signs I saw was on a fine looking rig, it said, "But by the Grace of God." Another driver had a picture of a loaf of bread on the side of his truck. When folks ask him, "Why a loaf of bread?" He would tell them the bread symbolizes Jesus, the bread that came down from heaven. That driver had 40 souls saved in several months time, fuel jockies, truckers, lumpers, and many others because someone asked about his sign. A lot of folks will pass your rig today truckers. What sign will they read as they pass you? In our kitchen is a teapot, cup, and saucer. The couple from Posey, California, who gave us this beautiful gift told us how they came to have the matching set. The couple had a next door neighbor who always made it her point to tell them, that "God loves you." At the time this couple wasn't Christians, so having a neighbor that was forever telling them "God loves you," wasn't fully appreciated. They could go out to mow the lawn, and there would be their neighbor to say, "God loves you." If they tried to slip in and out of the house, somehow their neighbor would find them just in time to call out, "God loves you." Each trip outside meant they would hear the message, "God loves you." But finally their neighbor's message took effect. The couple realized, God does love us! The couple gave their hearts and lives to Jesus, and each day they thanked Jesus for the neighbor who had a faithful message. Their "God loves you" neighbor made them the teapot, cup, and saucer; hand painted it herself, made with much love; and gave it to them. They had this precious gift for years, but now wanted to pass it on to us. A reminder that someone took the time to say, "God loves you." But sometimes we don't take the time to share God's love. Years ago an unsaved woman sent word for Bunny and me to come and see her. That day it had snowed and we had traveled all day; we were just too tired. We sent her word that we would come another day, she died that night. Dear friends never pass up the opportunity to tell someone that God loves them. You never know when that may be their last time to hear "God loves you." Always be a "God loves you neighbor." perish, but have everlasting life." We were in West Memphis, Arkansas. It was getting late in the evening as we looked up and saw Zeb and Nannie coming into the truckstop. They were produce haulers; always in a hurry, but this night was different. Zeb received Jesus that night. His wife who was already saved rejoiced over the salvation of her husband. Oh, what a time we all had that night in West Memphis! Afterwards Zeb and Nannie would come to see us when their runs would allow them. Zeb played the guitar. 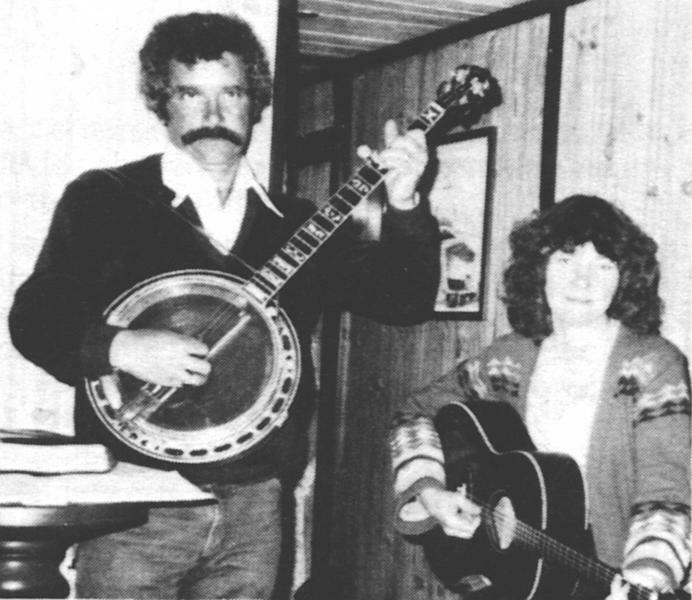 He would always take the time to play and sing a song before he had to leave. One hymn Zeb sang was our favorite, "Where the Roses Never Fade." Bunny would say, "Zeb play it one more time." In the Spring of 1985 Zeb took ill. Zeb went home to be with Jesus. I can still see him, guitar in hand, head held high, singing our song one more time. Before Zeb died, he called all of his children in and made them promise to meet him in heaven--a land where the roses never fade. Where the streets of gold are laid. WHERE THE ROSES NEVER FADE." One morning a trucker came into the chapel; he hadn't said but a few words when our hands wanted to go around his neck. You know, Lord forgive us, while we choke him. If awards were given out for "foul mouths" he would have won first prize. I being the faithful wife decided to "stand" with Bunny to endure this fellow. I put on my jogging shoes, and went jogging. I felt like I could "stand" the best, about two miles down the road. After allowing plently of time, I went back to the chapel. The trucker had left. Bunny looked at me, and I looked at Bunny, he said, "He's coming to church Sunday night." The first thought that came to my mind was, what about his language! What will others think when he starts to talk? Sunday night came and sure enough in walks the trucker with the "mouth trouble." But he didn't say ugly things, he just listened to the sermon. After the sermon he stood up and received Jesus as his Lord and Saviour. The next time we saw this trucker he came up, hugged us, and said, "I love you." Then he handed us a box of cookies he bought for us. There was no more ugly talk, no more uneasy feelings. The trucker was a new creation! When I first saw this trucker I only saw a foul man, but when God saw him, HE saw a new creation. When we judge others we only see their faults. But when we look through God's divine love we see people differently. As we travel these highways don't judge the other fellow; just love him and pray for him 'cause God can sweeten them up! away; behold all things are become new." There are trucks and then "there are trucks." When God used three men to donate Ol' Yellow, well, there just hasn't been another truck quite like Ol' Yellow. 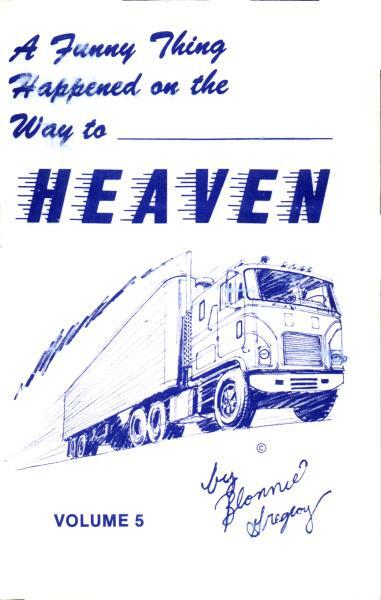 In 1978 when we received our 1962 Kenworth, donated free and clear, God put a truck on the road that would touch many hearts. Folks that put down truckers, they don't know what we know! Andy, a driver from Washington donated the sleeper. John, a driver, donated a new air rider seat. Glen, a trucker, has donated tires and fuel. Truckstop owners have helped with fuel, mud flaps, offerings, and even an anniversary dinner for us. Churches have helped to keep Ol' Yellow carrying the Gospel. They all gave of a freewill, they all gave because their desire is to see souls saved. Piece by piece, part by part, bolt by bolt, God has sent everything needed to keep His truck on the road. 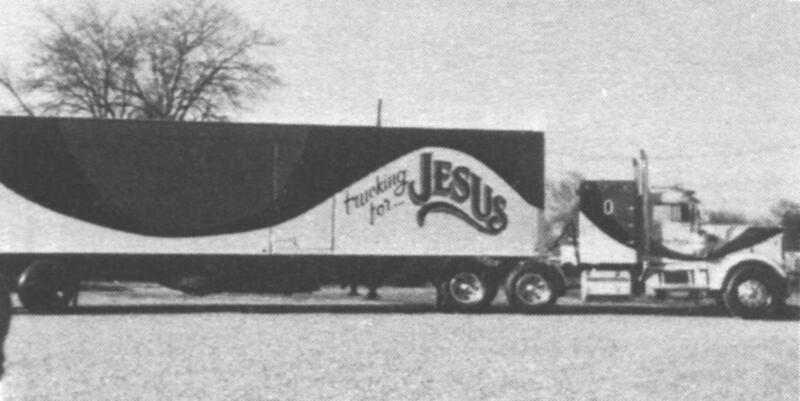 God took a 1962 Yellow Kenworth and turned it into a token of His grace. according to HIS riches in glory by Christ Jesus." A certain missionary had been on the mission field for sixteen years. But with failing health he had to return to the States. He wrote his family and told them the day and hour his ship would dock. When the ship came into the harbor, hundreds of people waited on shore to meet their loved ones. But one by one they all left, the missionary stood alone, no one had come to meet him. Standing alone the missionary began to weep. He said, "Lord, no one came to meet me. I've been away all these years and no one came to greet me today." Then God spoke to the missionary and said, "Son, you're not home yet." Dear ones, be faithful on the shores of this life, there may not be folks out to greet and meet us, but remember, WE'RE NOT HOME YET.